Despite the extremely limited number of handsets that can actually run the app, a report has said that Google is planning a pilot program which will have Google Wallet launching in the UK in time for the Olympics. The report comes from French newspaper Les Echos. Apparently, Google is working hard to have the pilot program up and running in London in the first quarter of 2012. The plan is then to have Google Wallet fully functional in time for the London summer Olympics, which begins July 27th, 2012. In preparation, Google is reportedly in negotiations with several banks, distributors and retailers. 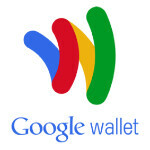 Having Google Wallet fully functioning in time for the Olympics is a good start in getting visibility for Google's NFC payment system, but if Google limits the program to Android devices, that will mean only Nexus S owners will be able to use it (and Galaxy Nexus owners who have unofficially loaded it.) There has been no indication that Google is planning to release Wallet for any other platforms, but getting it on BlackBerry would certainly help as there are far more BB devices with NFC than Android. Potentially NFC could be used with Blackberry Wallet. :) As far as "...no indication that Google is planning to release Wallet for any other platforms...", I direct your attention to:http://www.google.com/wallet/faq.html Perhaps they have yet to contact Blackberry about this aggressive roll out in the UK for the 2012 Olympics, but they have reached out to manufacturers to partner with Google to make Google Wallet available on their handsets.